Construction Testing Solutions is a leading provider of on-site and laboratory testing services to the UK construction industry. Following a busy 2017, the decision was taken to open the second laboratory in Warrington. The Warrington facility will not only provide additional capacity for the core earthworks, concrete and aggregate services available from Doncaster but also presents an opportunity to expand the company’s service offering. Work began on the new facility in October 2017. The lab was completed in just six weeks and was ready for UKAS audit in December. 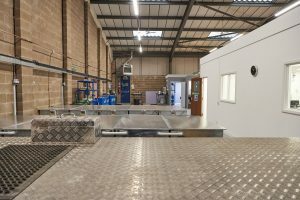 Site services available from the Warrington facility are an extension of those available from Doncaster and the lab is expected to be fully operational by early February. “The new facility works really well for us,” says Jon. 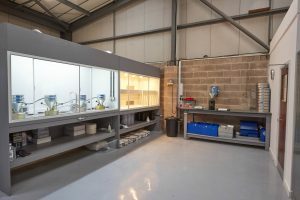 “The Doncaster lab will continue to be seen as a centre of excellence for soils, aggregates and concrete services in the region. Warrington will enable us to add bituminous services to that list”. As bituminous services are new to Construction Testing Solutions, they leveraged the expertise of parent company CET to provide training for the Warrington technicians. “Bituminous services have been a key part of the CET materials testing portfolio for years,” says Jon. “It absolutely made sense to get the technicians from Wolvey to train the Warrington team”. The Warrington site has a team of five technicians in place and is already providing a full range of site services; including earthworks, aggregates, concrete testing, plates, CBR, SRD and a variety of non-destructive tests. 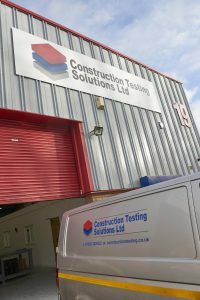 Construction Testing Solutions, 19 Melford Court, Hardwick Grange, Warrington, WA1 4RZ.